During my years as a federal prosecutor, my life was knee-deep in murder, international drug trafficking, and gang violence. And so, when I had some personal time for entertainment, I went the opposite way. It is with profound embarrassment that I make this admission: I am addicted to trash television. If a show contains the phrase "The Real Housewives Of," I'll watch it. I understand why people's initial reaction would be to recoil upon hearing of someone wearing blackface today. But the prosecutor in me can't help but think of the years listening to judges tell juries that there is no crime without criminal intent. I know that blackface and committing a crime are not the same thing. But the reason the law requires proof of bad intent is because, as a society, we don't think it's right to hold people responsible for something they did not intend to do. What to make of the political firestorm over blackface in Virginia? A photo on Gov. Ralph Northam's 1984 medical school yearbook page shows a man in blackface standing next to someone in a Ku Klux Klan robe. Initially, Northam said he was in that photo. Later, he said he was not. However, Northam has acknowledged that he wore blackface more than 30 years ago when he dressed as Michael Jackson for a dance contest. Calls for Northam's resignation quickly followed, led largely by fellow Democrats. Here's the thing about what is taboo to any minority community. The minorities are the ones who have been discriminated against. They get to choose what offends them. Before you start hate-tweeting me, I am not suggesting that costume stores stock up on blackface in anticipation of Halloween. Regardless of a person's benign intent, there are times in history when a consensus develops in a minority community that something is offensive. That should be respected. At the same time, it is not fair to judge a person's actions 30 or 40 years ago by today's sensibilities. If a politician went on national TV today and said members of the LGBT community should not be allowed to marry because marriage is "between a man and a woman," he or she would be rightly condemned as a bigot. But Barack Obama said just that while running for president in 2008. Then, in 2012, President Obama changed the course of history. It is widely believed in the LGBT community that Obama's support of marriage equality was the beating heart that brought it to life. I am among the believers. It never would have happened if people like me had refused to vote for Mr. Obama based on his offensive political stance years earlier. My hope is that recent revelations will make the use of blackface extinct. But that does not guide where we should go when we discover that a political figure wore blackface decades ago. The "no tolerance" moral high road Democrats have committed to walking has left them at a disadvantage to Republicans who barely wag a finger at the likes Steve King, the Iowa congressman who defended white supremacy last month. Both Northam and Herring have histories of public service demonstrating their commitment to voting rights and other issues important to minorities. It would be nice if their personal lives decades ago aligned perfectly with their current political lives. 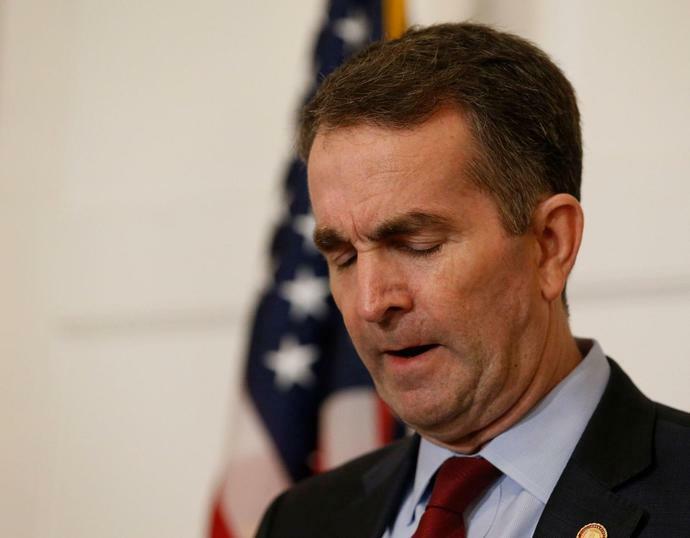 But the votes they cast, the policies they support and, in Northam's case, the bills he has vetoed as governor, should weigh heavily in assessing their value to the Democratic Party and the individuals who comprise the party. I'm not sure what should happen to Northam and Herring. What I am sure of is that every decades-old instance of blackface does not deserve the gong and the hook. Especially when the outcome may be to cede Virginia's governorship to a man who will likely roll back the very civil rights the resignations sought to vindicate.